As it often happens, you wish to prolong every moment of your vocation. Over a dozen exciting events are awaiting for you in the shape of a hidden object game. In each location you are to find 14 objects presented as words, silhouettes or associations. You choose the mode every time you pick a level, thus the locations can be replayed in all three modes to get maximum stars. 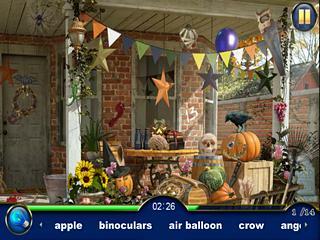 While the free trial includes one level pack, the full version of the game offers 24 hidden object scenes. As you scour rich seek-and-find locations, you have to collect 10 souvenirs in order to unlock next event. Three types of hints are at your disposal. The magic magnifier shows only the required items blurring the rest of the picture. Eyeglasses give you the whole view of the scene with all the hidden objects highlighted, while binoculars point to a random item from the list. Be prepared that hints are expandable, and you will have to wait till the hint button recharges. As it often happens, you wish to prolong every moment of your vocation. Well, take your time! 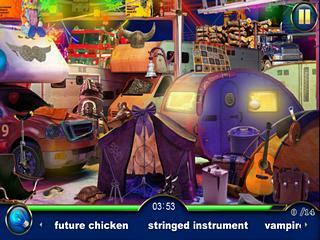 In Bon Voyage: Hidden Object the level pass time is unlimited, but your seek-and-find skills are surely rewarded. If you cope with the task quicker than in 4 minutes, you get special bonus which can help you climb up to the top of the global leader-board. The opportunity to purchase separate level packs allows you to plan you trip and either travel across Asia or feel the spirit of the Old World. Have a nice vocation! This might seem old school, but I keep score at almsot every game I go to. You can use this to track things like when certain players are due up, find out how players are doing a particular game, guess who will be pinch hitting in a National League game, track pitchers, and so on. It forces you to pay more attention to the game itself and kills the boredom a little bit. 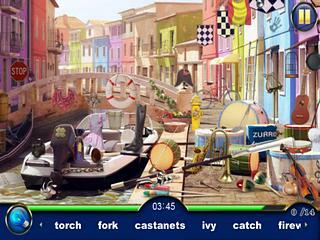 This is Bon Voyage: Hidden Object review. .